January 2015, Kiev – My closing talk titled The Current State of Agile. 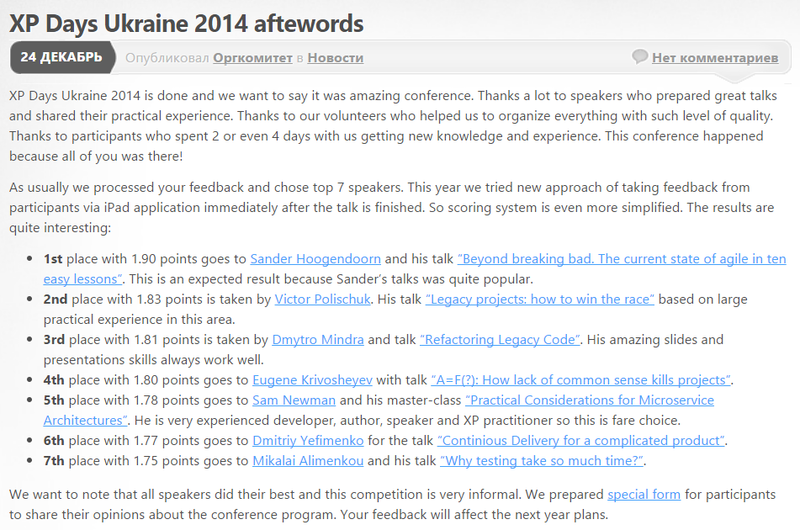 Ten Easy Lessons Learned for the great XP Days 2014 Conference held in Kiev, Ukraine, was voted as the best talk of the conference by the participants. Thanks a lot guys for all the support and nice comments! See the results here. The slide deck for this talk is here. There is also a video on the Video’s page.